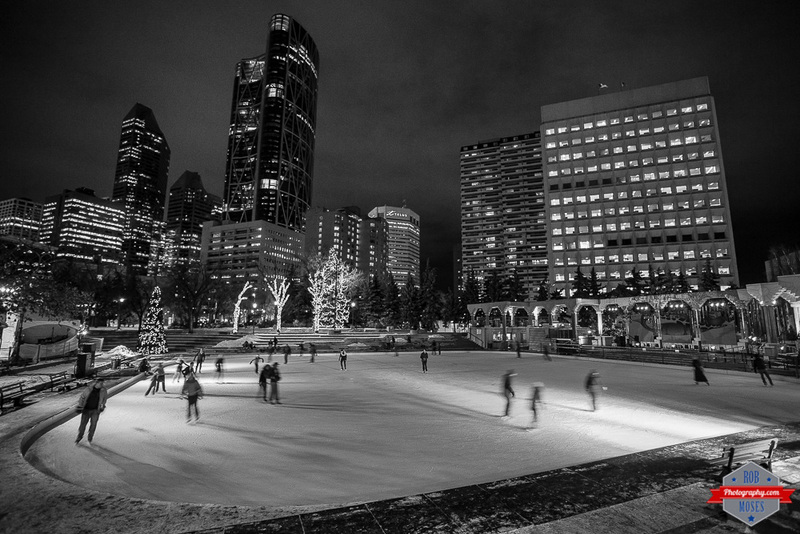 This entry was posted in Architecture, Cities, People and tagged 17-40L, 17-40mm, 6D, Alberta, beautiful, Black & White, bow, building, buildings, Calgary, Calgary Tower, Canada, canadian, Canadian flag, Canon, city, City Life, cold, condos, delta hotel, Flag, freezing, ice, ice rink, Ice skating, kid, lights, metro, Olympic Plaza, Park, people, photo, Photography, pretty, rink, Skate, Skating, sky, Skyline, skyscrapers, street, telus, tower, Urban, wide angle, winter, woman, yyc, zoom. Bookmark the permalink. Looks great! No outdoor rinks here, so it’s lovely to see photos of them! Thank you. I am looking forward to seeing your shot tomorrow 🙂 and yes it is always nice to have a photo in mind, waiting in the wings. Yeah that’s a nice spot hey. Come to Calgary and I’ll take you ice-skating 😉. I just need thicker gloves! haha. Thanks! And yes, ice skating is fun for sure :). Ice skating is so much fun. Your shot reminds me quite a bit of the ice skating rink in front of rockefeller Center in NYC. Beautifully captured!